The term "silent movie era" is rather misleading. 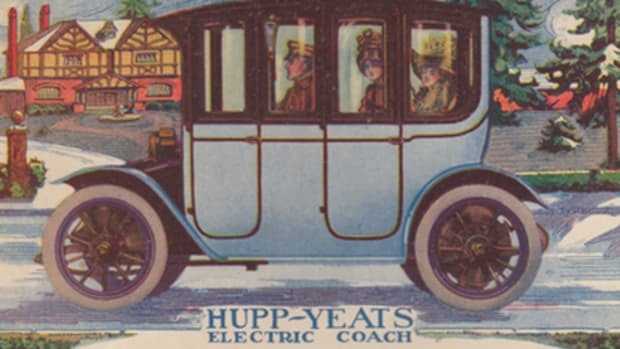 From the invention of the cinema in the late 1890s until the adoption of the "talkies" in the late 1920s, motion pictures may have lacked the sound experience we enjoy today but the theaters were far from silent. Despite a long list of failed experiments, most films of this era didn&apos;t include synchronized sound. However, auditory elements were recognized very early on as an important tool for influencing the emotions that audiences felt during a movie. Theaters in large U.S. cities would employ enormous orchestras with as many as a hundred musicians, while smaller towns most often would include an accompanying pianist or organist. In 1926, roughly 26,000 musicians were employed by American movie theaters. But the other two audible elements we take for granted in movies today were largely missing from films of the silent era: dialogue and sound effects. There were experiments in the late 1900s with "behind the screen" dialogue (actors doing their best to synchronize their voices to the actors on the screen) though these attempts confused audiences and the practice quickly disappeared. Even more rare than live dialogue by actors were live sound effects. In 1917 inventor Frank Illo tried to change that. 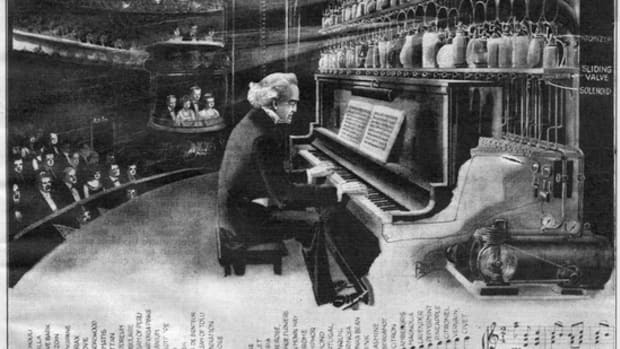 He developed a system of sound effect machines unified through a central control which sought to heighten the realism of the movies through a variety of sound effects which could be played in the theater and operated by a single person. Illo was granted U.S. patent 1,278,152 on September 10, 1918. Let us suppose we are witnessing a photo-play of the war. A locomotive puffs into a station behind the lines, whistle shrieking, bell ringing. Soldiers alight and march away. Their hob-nailed shoes clumping on the cobbles. From the distance comes the deep-toned reverberation of cannon. All these noises, and more, are produced by a machine invented by Frank Illo, of Dallas, Texas. 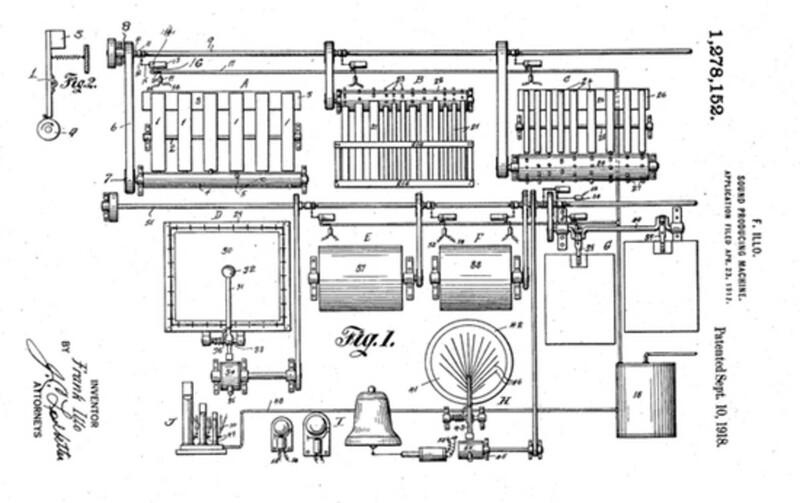 Briefly the machine is an assembly of many sound-producing instruments unified through a central electrical control; more specifically, a series of shafts, belts, and pulley, diaphragms covered with buckskin, revolving cylinders partly filled with water or with lead shot or steel balls, wooden beams and slats, flexible sheets of tin or other metal, air-valves, whistles, bells, etc., to be used at the will of the operator. 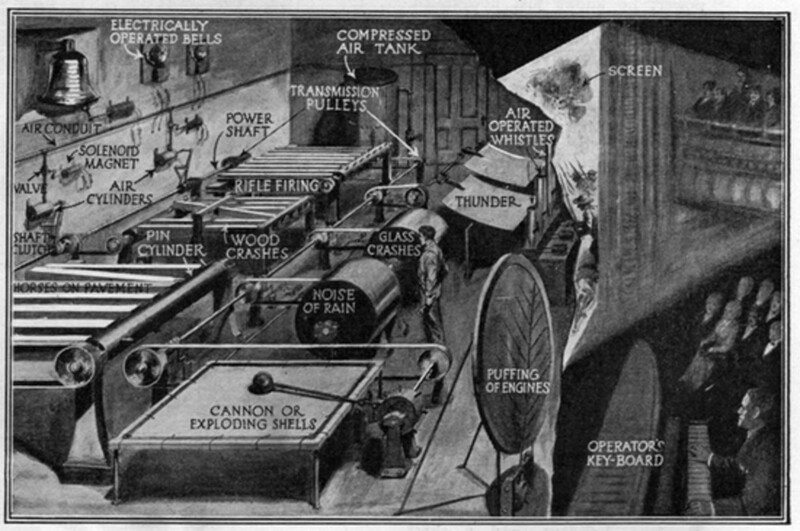 Illo&apos;s machine could mimic everything from a train&apos;s engine to thunder to the thump of cannon balls. 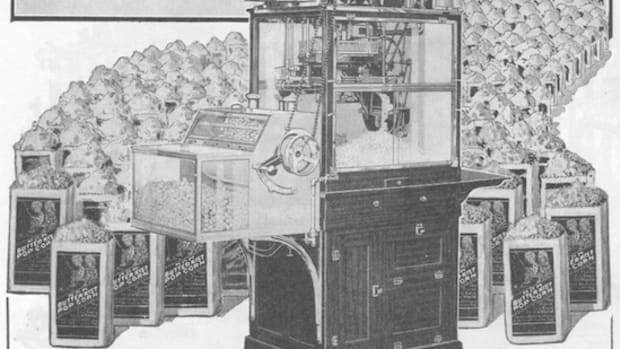 But there&apos;s no evidence that theaters were eager to make room for such a cumbersome and enormous machine. 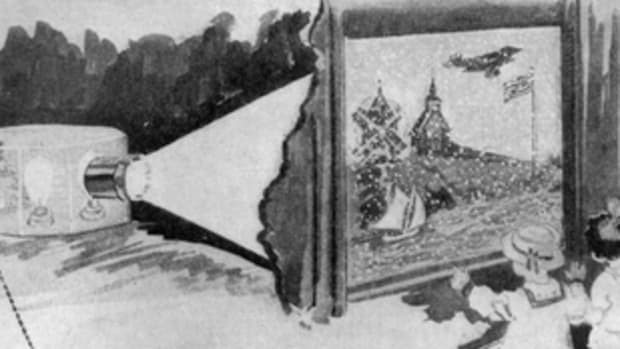 The arrival of synchronized sound in the late 1920s fixed the problem of needing live sound effects, but absolutely destroyed the theater musician&apos;s business. As Robin D.G. Kelley notes in his 2001 essay "Without a Song," those approximately 26,000 musicians employed by theaters in 1926 dwindled to just 14,000 musicians in 1930 and slipped further to just 4,100 by 1934. In the early 1930s musicians launched a massive (and obviously unsuccessful) campaign to keep the talkies out of movie theaters, arguing quite correctly that they were putting thousands of people out of work. But no such campaign was launched on behalf of sound effects artists. 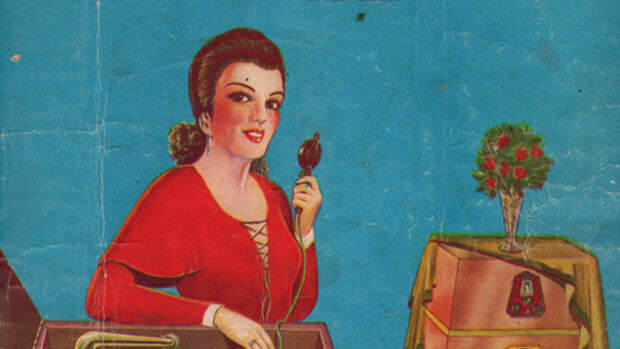 Most likely because—much to Illo&apos;s chagrin—his sound effect machine never really took off.